A quick guide to macronutrients! Struggling to see those muscle gains? Think you have plateaued? What we eat outside of the gym is just as important as what we do inside of the gym! When calculating your macronutrient intake, it’s important to know your goals and what you’re trying to achieve. 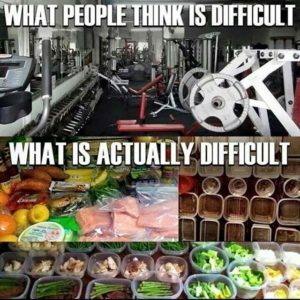 Since there are different processes and different methods for fat loss and lean muscle gain, to maximise the effect of your nutrition intake, it’s important to tackle one goal at a time to maximise your results (although both can be achieved concurrently, for best results, set your sights on just one for now). During this article, I’m going to mainly focus on lean muscle gain and how you should calculate your macronutrient intake to achieve the best results. Most people have a general idea of what their daily calorie intake should be when striving to build lean muscle, however, this won’t help much unless you know the macronutrients you need to make up that calorie base. Macronutrients are made up of protein, carbohydrates and fats. The word macro simply comes from ‘large’ and it has been labelled this way as this is what the body requires in large amounts for tissue repair, growth, metabolism and other essential body functions. 1 gram of fat provides 9 calories. In saying this, I often recommend my clients who have their sights set on lean muscle building a ratio of 35 / 45 / 20 daily. Meaning 35% protein, 45 % fats and 20% carbs. It’s also important to note that the timing of macronutrients is crucial. Depending on your nutritional guide, eating carbohydrates, fats and proteins at certain times will have an effect on your insulin levels. To read more about carbohydrates and insulin, head on over to one of my previous articles here. Now, as we all know, these ratios are not set in stone. Your ratios of macronutrients will depend entirely on your body shape and what your goals are. To get the best results and to determine exactly what your macronutrient ratios should be, your best bet is to consult a personal trainer / nutrition coach to guide you. Check out my website to see how I customise my clients nutritional guides to ensure they get the best results in the shortest period of time.